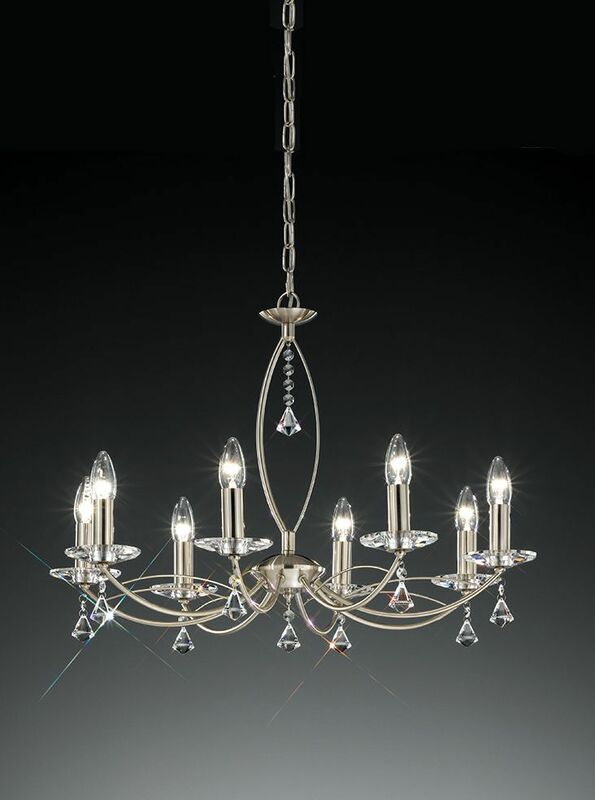 FL2225/8 Satin Nickel Pendant Light. Manufactured by Franklite products. Franklite are a well established Lighting manufacturer who produce some of the UK's highest quality lighting. This particular product is finished in Satin Nickel & is Class 2 Double Insulated (does not require an earth connection). Bulbs are not included with this product (Small Edison Screw cap E14, total wattage = 480w). Dimensions are as follows - Height (mm) = 480, Width (mm) = N/A, Length (mm) = N/A, Diameter (mm) = 680, Projection (mm) = N/A, Minimum Drop (mm) = 480, Maximum Drop (mm) = 1480, IP20 rated.